It was hard to stay inside and work today. Temperatures in the 50’s, sunny, and very little wind. 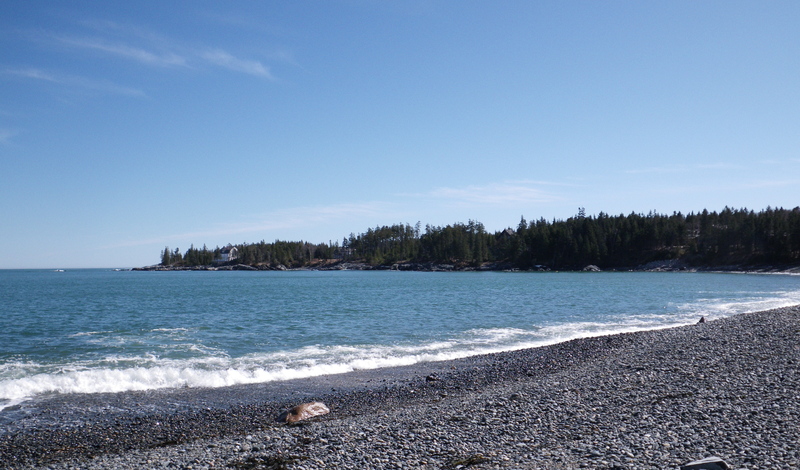 So not like Little Cranberry Island in mid March! It smelled and felt like early May. 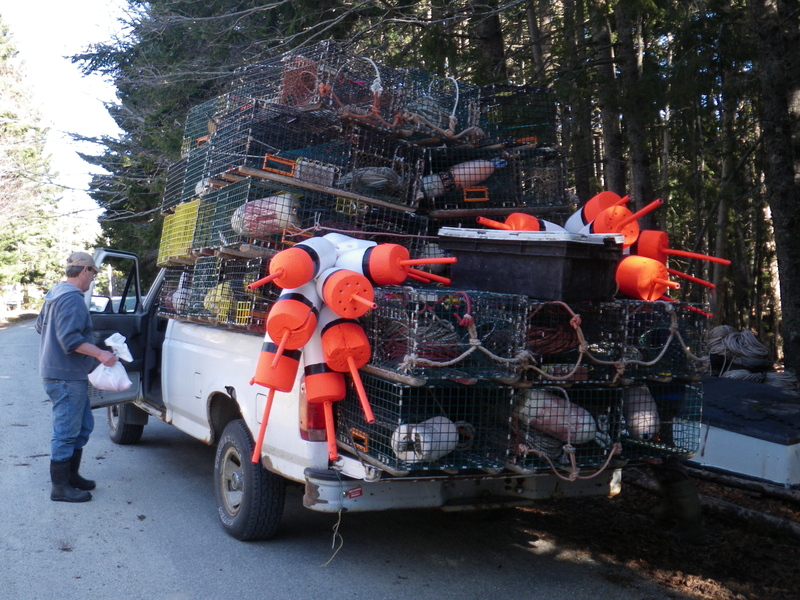 After taking his 800 lobster traps out of the water in December, Bruce set out his first 80 traps of the year this morning. Then, with such a glorious day, he came home, picked up 80 more traps and went back out to set those. Now our fingers are crossed for available bait, a good price for lobsters, and plenty of action in the traps. More traps hit the water tomorrow. When I walked to the Post Office after lunch, it was too nice to go straight home. 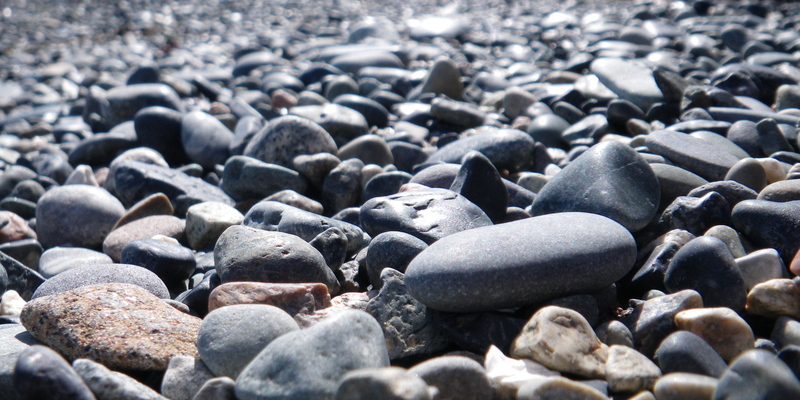 I took a detour to Bunker’s Cove to pick up a few rocks to drill. Back to the studio for a little more work, then back outside for a late afternoon walk. I have finally adjusted to the time change. do i love it or hate it that you left that fantastic last photo un-commented-upon?! Ha ha! It was part of our afternoon walk through the woods. 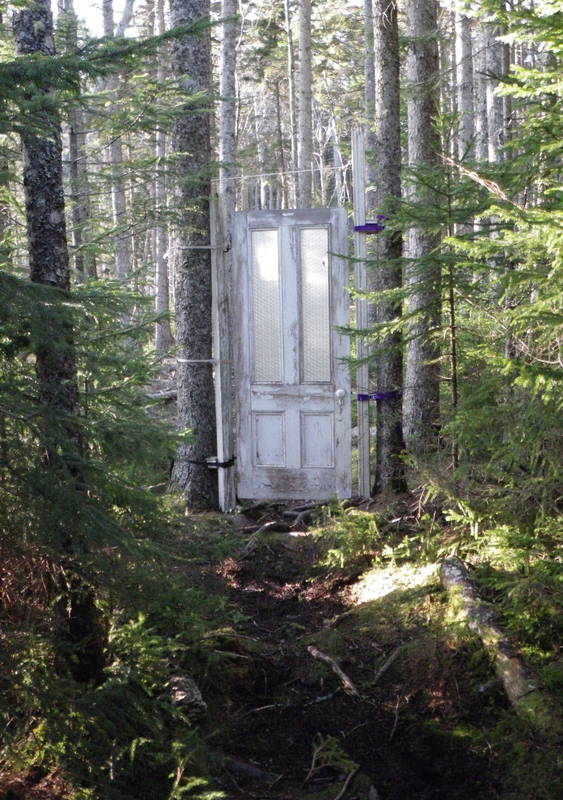 The door is located on path in the woods between another beach and Sam Shaw’s house. I’m surprised he doesn’t have a photo of it on his “personal site!” Check this out for more of his style! WOW!!! love his house, his blue bottle light fixtures, his jewelry is gorgeous and that shot of islesford from way up high was such a sweet glimpse into your world! I had no idea that house existed! I saw that he has attended Burning Man. Heather goes every year, and Steve has gone several times. One year they took enough ingredients to barter 1,000 pizzas. This was an enlightening web page. Good luck to Bruce. Let’s go to Burning Man next year!